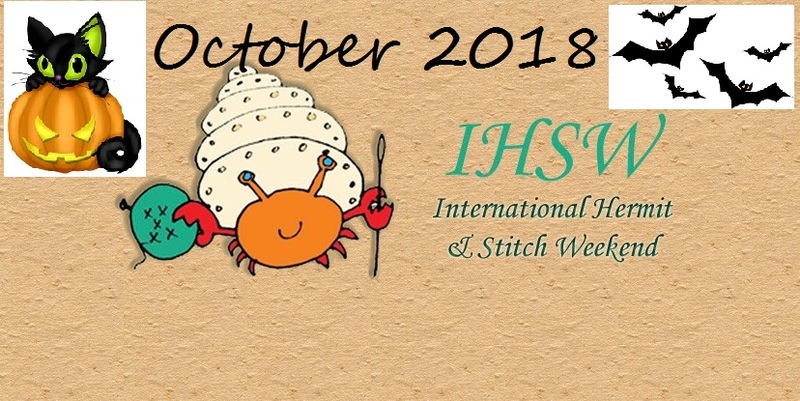 This weekend was the October International Hermit & Stitch Weekend where we all try to get as much stitching time in as we possibly can. 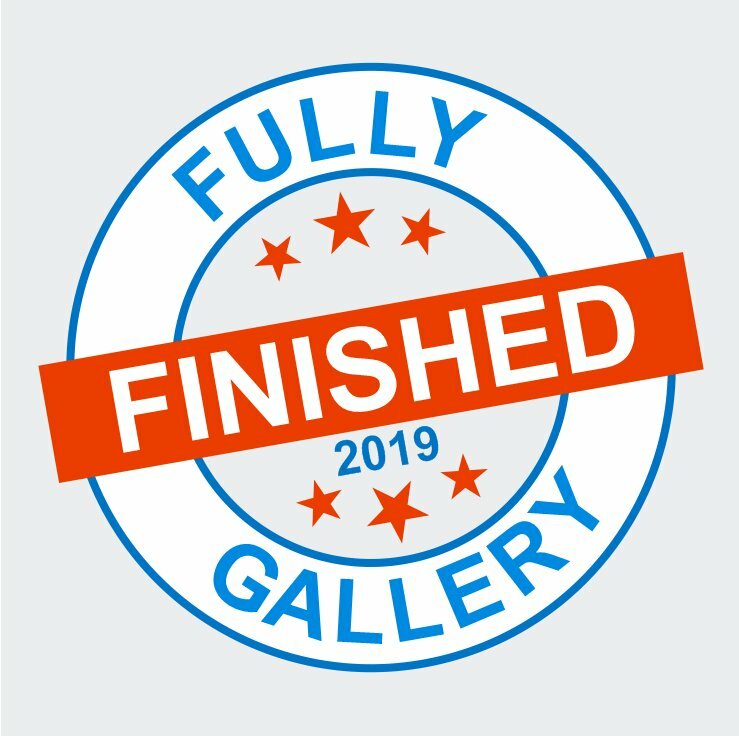 Just like every other weekend of the year but this is Official! 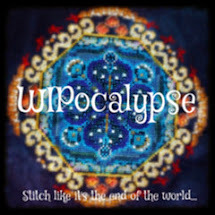 Unfortunately, I didn't get as much stitching as I'd hoped. I didn't actually sit down to stitch until 3pm on either day and then there were other interruptions too. But there was some progress and every stitch counts. The Tiny Decisions app choose the same project for both days which was helpful. Just Nan's Autumn Mouse House, I completed most of one of the panels. There are a couple of stitches of white and yellow as well as the black but I intend to do all four panels and then add the odd stitches at the end to save changing threads too often. Unfortunately there is some frogging due. I started a new length of the light green and it's a totally different colour. I can only assume the original length came from a different skein, maybe a leftover from a kit? Anyway, it is too obvious to leave so it has to come out. 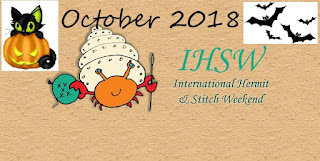 The next IHSW will be 16th - 18th November so make sure you note the date in your diary or come and join us in the Facebook Group - IHSW on Facebook. If you don't do Facebook then you can check in here. Finally the Harry Potter Quiz Night at work went very well. A shop full of witches, wizards and Potterhead Muggles all enjoying having their brains tested to the limit. Nice progress Jo. Alice looks great but sorry you have to rip the green out. Glad you found time to stitch. I didn't. I will in November though. 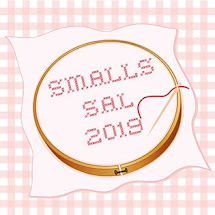 I'm attending a stitching retreat that weekend. Glad the Harry Potter party went good. Hey! Could you send me the link for Brew Ha Ha? I love that one and can't find it. Thanks! My DH would have loved the Harry Potter party. He is quite the fan! 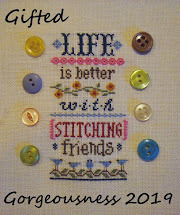 Love all your stitching ,this must be the best time of the year for lots of stitching with the clocks going back ,lets hope so ,hugs. Good progress on stitching! I haven't got time to stitch for a month now. The HP quiz sounds fun. My daughter is a big fan so we had been to the WB studios when we visited London this year in May. I can see a definite difference in Alice - I think you've made good progress. Some weekends are like that, Jo, very little time for stitching when Life gets in the way, but still you managed some progress, so all good! Glad that the Harry Potter night went so well. Every stitch counts, you still made progress! But next time, get rid of the darn frog. The decorations for quiz night look great, I love the balloons and spider! The mouse house is going to be so sweet. Oh no such a shame about the frog visitation, otherwise your progress is pretty good for such a short space of time. Harry Potter quiz night, now that's something even I could nail!!! Sounds like it was fun. I'm always so busy on the weekends you set aside for IHSW. Sorry to hear you'll have a visit from the frog. If only he would hop away for good!! Your stitching does look wonderful though! What a fun job you must have, your decorations look fabulous! Great progress! Shame about the frogging on Alice, but she's coming along so nicely. 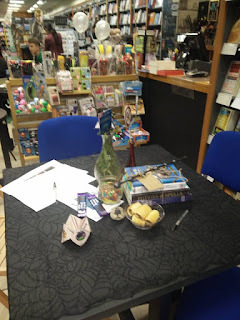 The quiz night at the bookshop looked like tons of fun! Sorry about the frog. The mouse is super cute. IHSW, I was at a retreat, so I wasn't hermitting, but I did stitch a fair amount. Shame about the pesky frog in Alice. And the pesky dye lots! At least your HP quiz night went awesome. The Hedwig balloons are cute.